The first single to be released from Finnish metal band Lordi‘s fifth album, Babez For Breakfast, “This Is Heavy Metal” was released in 2010 and set out to be yet another glorious rock anthem like their Eurovision-winning classic “Hard Rock Hallelujah”. Lordi being sort of like a modern, monster-themed, Finnish version of KISS, it’s hardly a surprise that they’re big on simplistic, explosive songs about rock being badass so if you know the band or if you’re a fan, this is something of an obvious (if worthy) effort. 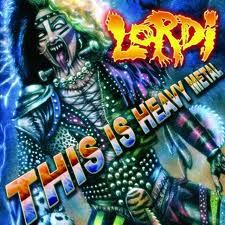 If you’ve never heard of Lordi, however, then I guess this is as good of a place to start as any. Though I’d probably go for the album The Arockalypse seeing as it’s a concept album and, as such, carries with it a good general display of what the band is about. Now I don’t know what a “hard rock vortex” is or what an “apocalypse in neon and spandex” would look like but I sure like the sound of it! Singer Mr Lordi’s voice is as gruff as ever, delivering lyrics with throaty gargles rather than notes, but seeing as he and his pals all look like monsters from Hell, it’s pretty appropriate. 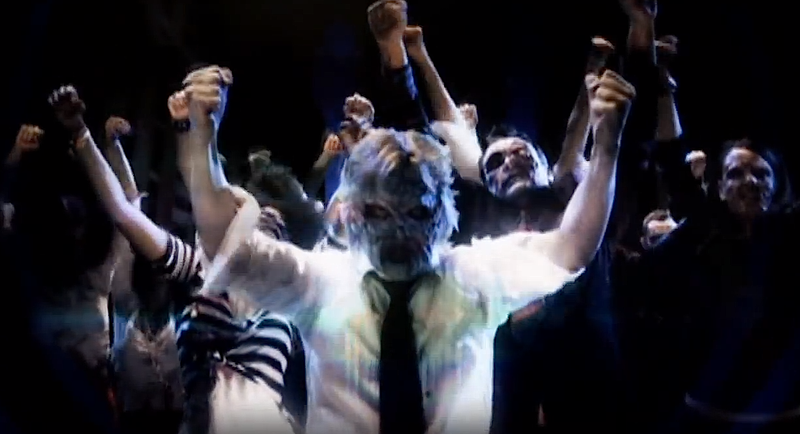 That’s our demonic singer proudly showing off his spikes and claws in the song’s fun music video which sees the band play their instruments as zombies show up at their concert and sing along with the chorus happily. It’s good fun, very true to the band and their sense of humour and it’s also, unsurprisingly, not the last zombie-themed video they’ve ever made. See this year’s “The Riff” for more undead shenanigans. This is usually followed by either the band saying “heavy metal” many times or an energetic guitar solo. Now, as to what the song’s actually about, I guess you could see it as an anthem celebrating heavy metal fans’ loyalty and the musical genre’s immortality despite everything. Overall, while admittedly not the band’s best or most original work, this is one entertaining single which should shut up those who see Lordi as one-hit-wonders as the song is definitely memorable and starts off that particular album with an appropriately light-hearted yet inviting bang. Oh, and if you manage to find a physical copy of the single, do pick it up as it’s something or a rare item. 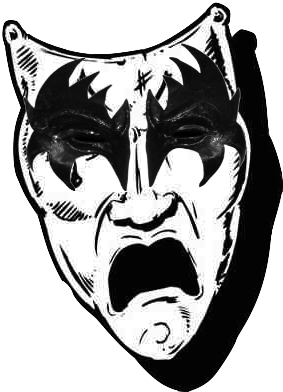 “This Is Heavy Metal” gets a solid 3 KISS Faces out of 5.